(Chair of Board of Directors/CEO) – artist, writer, teacher, business woman, mediator. She is a co-founder, with her husband Charles, of the corporation and is a former Director and co-founder of Cavitronix Corporation (see below). Bryane Miller Lickson brings to the corporation her many skills as an artist and writer. Her art and sculptures have appeared in many galleries. Her books have achieved wide-spread recognition and include DIGNIFIED DEPARTURE, the first national resource for living wills and durable powers of attorney. She has extensive experience also in the not-for-profit world having been a senior manager or president of a number of not-for-profit organizations. (President/COO, Member, Board of Directors) – artist, writer, lawyer, mediator, professor, entrepreneur. 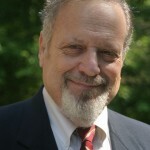 Charles Lickson is co-founder and Chairman Emeritus of Cavitronix Corporation (www.cavitronix.com) an alternative energy firm. Charles Lickson is a successful lawyer, business person, artist and writer. His eight books have received international attention. One of Lickson’s best known books: IRONING IT OUT: SEVEN SIMPLE STEPS TO RESOLVING CONFLICT has been published in Russia and Italy as well as in English speaking nations. Lickson’s magazine articles have appeared in many publications. He has achieved recognition for his artwork which is included in collections throughout the U.S.
Charles and Bryane Lickson have recently co-authored NEGOTIATION BASICS, 5th Edition, which was published in 2014. Both Licksons are lifetime members of the LALO Society. (Webmaster, DBA) Mr. Wible has a BS in mechanical engineering with long term experience in software and website development as a software engineer/programmer for Northrup Grumman Corporation. He is webmaster for both non-profit and for-profit corporations, including The Boston Camerata, Cascades Senior Center and Cardinal Glen HOA. He directs Company technological development, which automatically become assets of the Company. Mr. Wible is also a prize-winning photographer. Some of his photographs are used on the Company website and have been assigned to the Company. (Director – Secretary, Vice President – Special Events) – Jennifer is a successful business woman and artist, active in many civic organizations. She brings with her many years of experience in for-profit business and the not-for-profit world, including her service as an independent Director of the Native American Heritage Association, Inc. (NAHA). She has provided the Company with its first Gallery wall in Front Royal, Virginia. (Member, Board of Directors) – Mark has been a serious art collector along with his wife for many years. His collection represents art from the United States and around the world. Dr. Appleton was a principal of a multi-dimensional healthcare practice in the Washington D.C. metro area. Prior to that, he was Director of sports medicine assigned to the Pentagon when on active duty for the Army. Dr. Appleton retired from clinical practice several years ago. The corporation has a Board of Advisors from the arts and business world. Names of Advisors will be supplied upon qualified request. The existing management team will be supplemented by qualified professionals as required.